Calling all fun enthusiasts in Tomball, Texas! If classic Volkswagen Beetles, delicious brews or epic BBQs are your thing, this is the event for you. The North Houston VW Club will host its 24th annual “Beetles, Brew & Barbecue” on September 30, 2017 at Tomball’s Historic Downtown Train Depot. 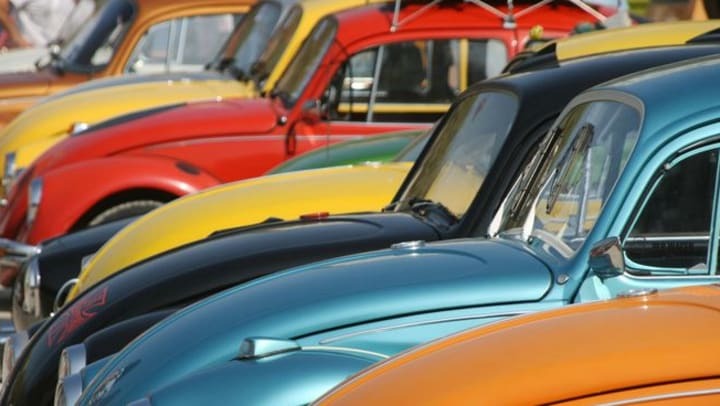 A classic car fanatic’s dream, this event combines all things vintage VW with craft beer and mouth-watering Texas-style barbecue. Dubbed Tomball’s very own Oktoberfest with a twist, this event is sure to impress. Do you own a classic VW Bug? It’s time to show it off in Tomball, TX! As if the expansive beer and barbecue selection isn’t enough to convince you to participate, imagine taking home one of the 40 trophies and awards. Who doesn’t like #winning? With raffles, door prizes, goodie bags, manufacturers samples and gift certificates, local garage gift cards and discounts, there’s a whole lot of goodness for you to grab! In addition to the car show, there will also be a “fun run” for you to show off your stuff. Registration is from 8:30 a.m. to 11 a.m. and costs $15 per vehicle to join. All proceeds will benefit local NW Houston charities. Gather up your friends and family and head down to the Historic Downtown Tomball Train Depot for an unforgettable day of vintage VWs, beer, BBQ, vendors, and music. This FREE event is great for all ages – there’s even a kids zone. Delight in tasting craft beer from serval Houston-area brewers and delicious Texas barbecue. Buy local and shop from various vendors, all while enjoying classic tunes from local bands. Classic rockers Johnny & the Spinsations will be there, as will Galveston’s own party band, The Mambo Jazz Kings. Whether you are a participant or spectator, it’s time to gear up for this fall’s greatest Oktoberfest event in the Tomball, Texas. You don’t want to miss the North Houston VW Club’s 24th annual show at the beautiful park surrounding Tomball’s Historic Downtown Train Depot. Here’s what you need to know before the big day. Time: Registration - 8:30 a.m. to 11 a.m. Event - 11:30 a.m. to 6:30 p.m. Your stuff matters. So does your journey. And for reliable vehicle storage in Tomball, TX, contact StorQuest Self Storage today. We have the know-how to help you make the right choice for your classic auto.